Christmas is very near to us and so it’s time to start with its preparations which starts from planning to purchasing, decoration, arrangement for party, sending invites for party etc. In short, a lot of work and less time to do all this .Dinner forms an important part if you are planning for the party. Christmas dinner is a meal which is traditionally eaten at Christmas any time from the evening of Christmas Eve to the evening of Christmas Day itself. The actual meal consumed varies in different parts of the world with regional cuisines and local traditions. In countries without a lengthy Christian tradition Christmas meal may be more heavily influenced by popular culture. A course is a particular category of food such as soups, starters, accompaniments, the main course dishes, and at last desserts. Food is served usually in a particular order. A full-fledged meal usually starts with the soup and starters served with accompaniments and crunchy salads. 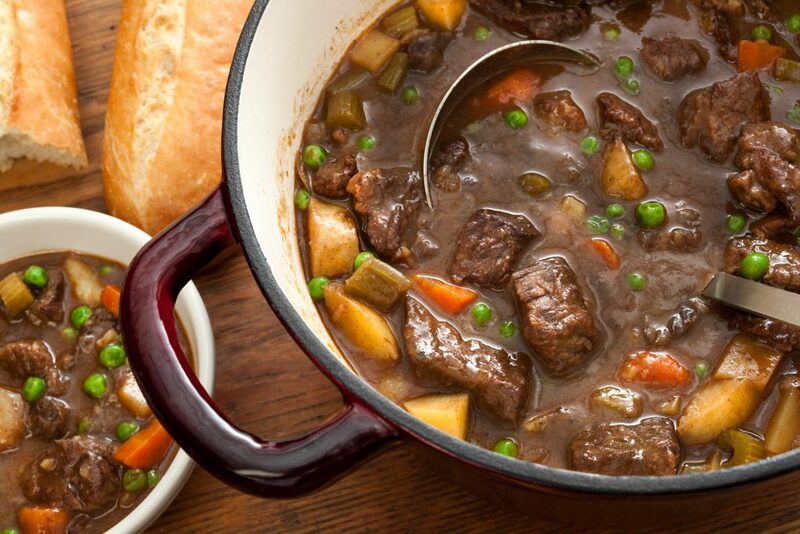 Soup is primarily a liquid food, generally served warm made by combining ingredients of meat or vegetables with stock, juice, water, or another liquid. Soups play an important role in our diet being nutrition powerhouse, packed with carbohydrates, protein, vitamins and minerals, fiber and antioxidants. There is nothing better than a bowl of hearty soup on a cold evening and so why not to include them in Christmas party as well. A spoonful of this super tasty soup tastes like a whole Christmas dinner mashed into vegan soup! It will warm your bones and fill you with festive cheer. This is a traditional soup for Christmas Eve. It can be served with a green salad and warm bread. 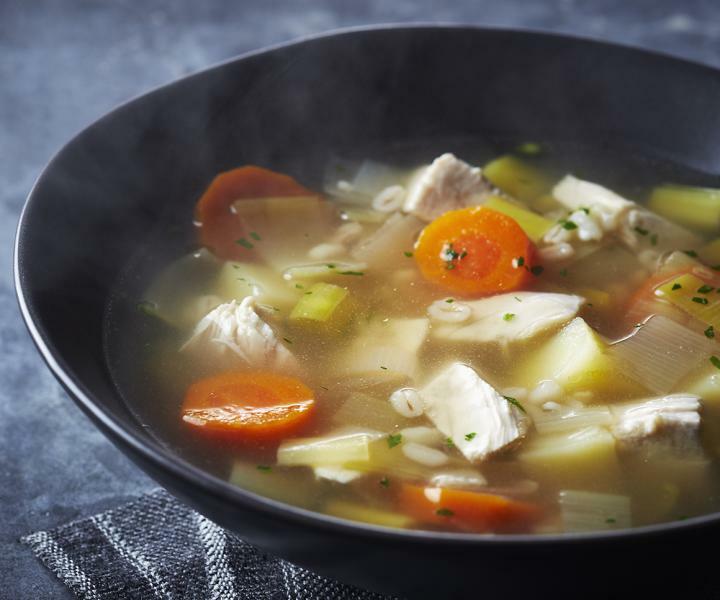 Treat yourself to a healthy homemade vegetable soup, packed with immunity-supporting vitamin C when it is cold outside. This soup is healthy, cheap and quick to prepare. Also it is a great way to use up leftover turkey or chicken. You simply need to boil the stock and throw in the carrots for 4 about minutes, add noodles and simmer for 3 more minutes. Stir in the turkey, peas and spring onions white part, heat for 1 minute or until everything is hot through. Serve in bowls scattering green part of the onions. 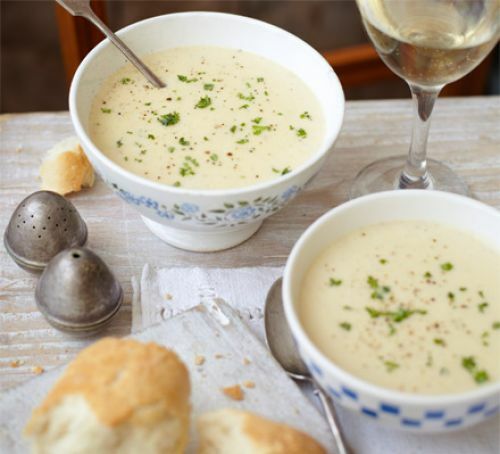 This dinner party potato soup recipe has an attractive pale color from using the bottom end of the allium and a bouquet garnishing. It is very easy to make this soup. You just have to heat the butter in a saucepan until it is sizzling and then add the leeks and herbs and sweat gently for 5 mins until it turns soft. Stir the potatoes into the leeks and season with a little quantity of salt and lots of freshly ground pepper.Pour over the stock and simmer the mixture for around 15 minutes until the potatoes are on the brink of collapse. Take the tied herbs out of the soup and remove them. Stir the cream into the soup off the heat then by using hand blender blitz the soup until it becomes smooth. Put the soup into bowls and scatter with parsley. This vegetable soup with a chilli kick is really warming and great to have. All you have to do is, Grill chillies and peppers for duration of 5 to 10 mins, turning often, until the skin is blistered and lightly charred. Place in some utensil and then set aside to cool. Once it is cooled then peel off the skins, dressed and roughly chop the flesh.Heat the oil in a pan and add the onion and cook for 5 mins until softened. Then add the garlic and cook for more 2 mins. Add the vegetable stock and potatoes in it and bring that to the boil, then simmer for 10 minutes until tender.Allow it to cool slightly. Later place the mixture in a food processor and process to a coarse purée. Return the mixture to the pan and bring to the boil adding the sweetcorn and some chillies, peppers and spring onions, then simmer for 2 mins. Stir in the mixture some coriander and cream. Season, top with the remaining chilies, peppers and spring onions and serve warm. Whip up this easy pumpkin soup as a starter for a dinner party or a light supper when you want to get a bit of comfort. This soup has a lovely silky texture. For preparing this soup you need to, heat 2 tbsp olive oil in a sauce pan and then gently cook 2 finely chopped onions for 5 mins, until soft but not colored.Next is to add pumpkin or squash, cut into chunks, to the pan, then carry on cooking for 8-10 mins. Keep stirring occasionally until it starts to soften and turn golden. Put 700ml vegetable or chicken stock into the pan and also add salt and pepper. Boil; simmer until the squash is very soft. Pour 150 ml double cream into the pan.Bring to the boil and then purée it with a hand blender. For an extra-velvety consistency pour the soup through a fine sieve. This soup can now be frozen, stored and used for up to next 2 months. 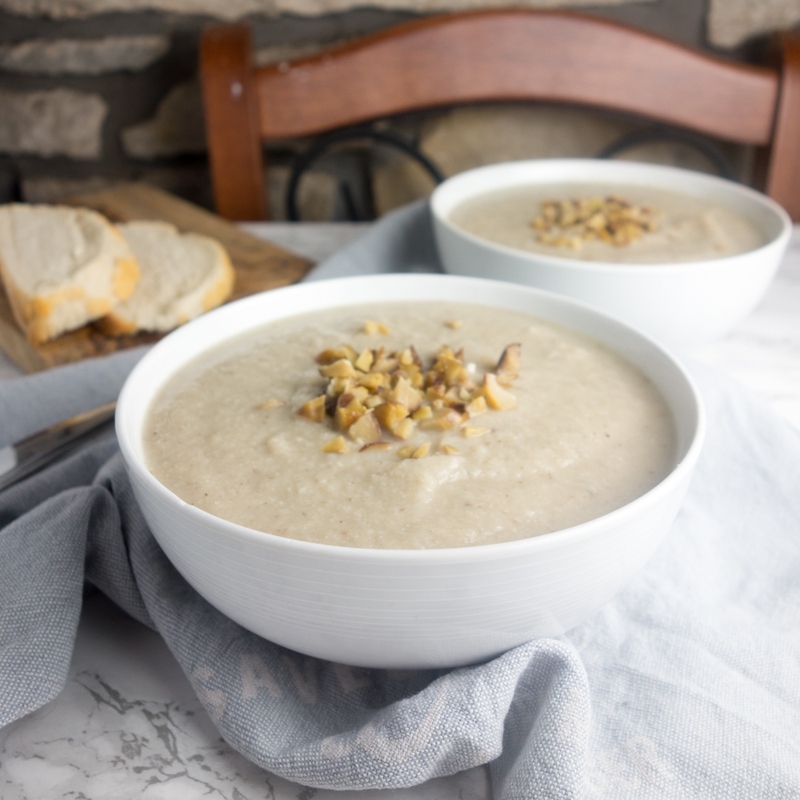 This creamy, vegetarian soup is a great way to use cauliflower and chestnuts, or you can also use freshly roasted chestnuts for a more intense flavor. For making this soup you have to heat the oil in a large saucepan and add the onion and cook over a gentle heat for 8-10 mins until the onion softens. Add the cauliflower, milk and stock and bring to a simmer cooking for 10-12 mins until the cauliflower tenders. Add the cream, mix well and bring back to the boil. Take off the heat and throw in the chestnuts and blend with a hand blender until smooth. Taste and check and add more seasoning if you feel like. Before serving, top up with shaved Parmesan, black pepper and put some olive oil also if you need. It is the perfect soup for the warm cozy night. This soup is a very good source of calcium, folic acid and vitamin C, too. Prepare the soup by heating the oil in a saucepan then gently soften the garlic without coloring. Tip in the swede, carrots and two-thirds of the thyme and then pour in the stock and milk also. Bring to the boil and then simmer it for 15 minutes. 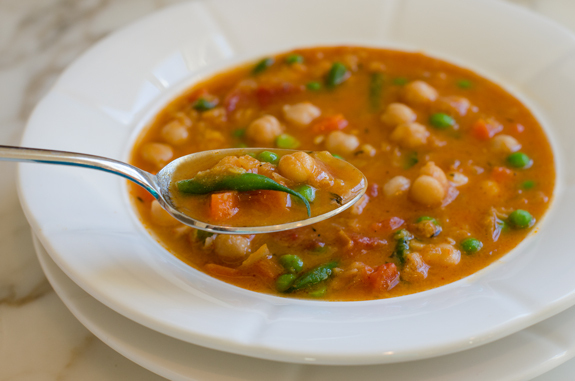 Ladle a third of the soup into a blender, whizz until smooth and then pour back into the pan along with the beans. Check for seasoning, then return to the heat and boil it. Finally serve sprinkling with the remaining thyme and some warm, crusty bread rolls to add more flavor to it. 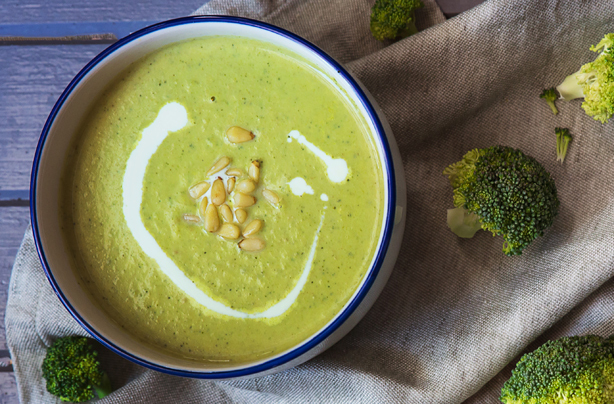 A smooth blended vegetable soup with blue cheese is good for a comforting meal for a dinner party starter. Prepare the soup by heating 2 tbsp rapeseed oil in a saucepan, add 1 finely chopped onion. Cook on a medium heat until soft adding splash of water if onion starts to catch.Add 1 sliced celery stick, 1 sliced leek, 1 diced medium potato and a knob of butter and stir until melted, then cover with a lid. Allow for 5 minutes then remove the lid.Pour in 1l of chicken or vegetable stock and add chunky bits of stalk from head of broccoli. Cook for 10-15 minutes until vegetables are soft.Add remaining roughly chopped broccoli and cook for 5 minutes.Then blend until smooth. Stir in 140g crumbled stilton, allowing still few lumps. Season with black pepper before serving. Creamy tomato soup with spicy peppery cocktail. 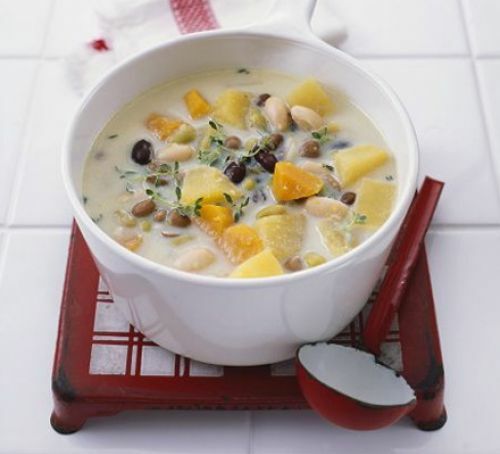 Prepare and serve this soup on the holiday dining and see your guests craving for more of it. To make this soup, simply heat the tomato soup. In a tray assemble all the ingredients to garnish, like celery mix, crushed pepper mix, Worcestershire sauce, Tabasco, vodka and lemon wedges.Serve soup allowing everyone spice it per taste. 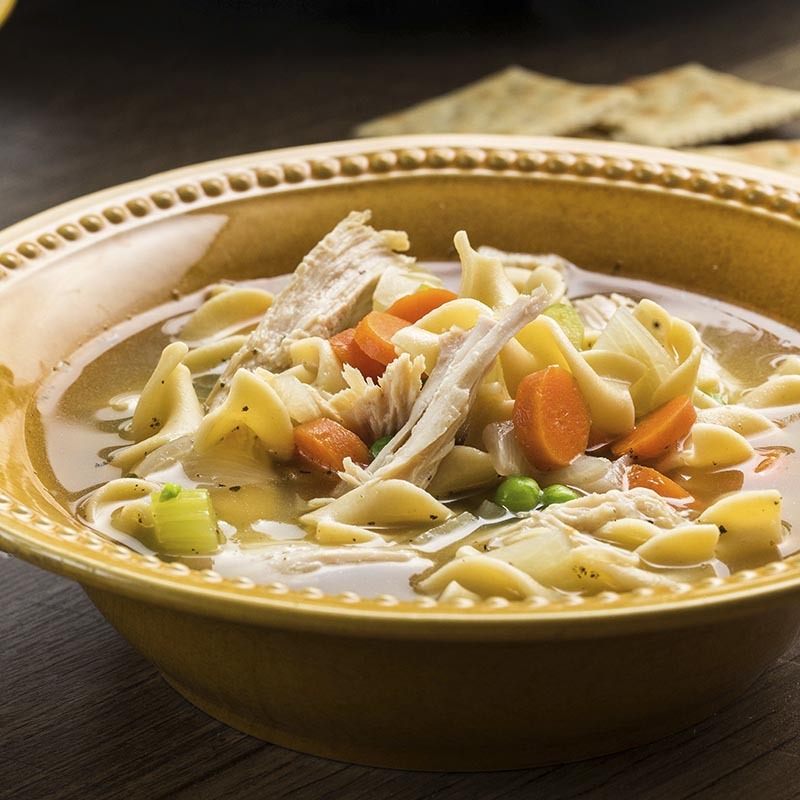 Classic restorative Scottish soup with twist – the prunes adds a sweet contrast to rich chicken broth. Serve this soup on the Christmas Eve and win hearts of all your guests. To make this soup, heat the oil in a saucepan, fry chicken pieces in batches until golden brown, then set aside. Now fry bacon, carrots, celery and leek tops until brown.Splash wine and boil rapidly. Put chicken pieces with the herbs and add cold water. Bring to boil then simmer until chicken tenders.Take chicken out, cover with foil and leave to cool slightly. Strain soup into saucepan discarding remaining ingredients. Leave for few mins and skim off fat that rises to top. Tear large chunks from the chicken bones. Simmer the soup with the chicken, leeks and prunes for another 20-30 mins then serve with bread. Meaty and vibrant soup for comforting dinner party. A perfect soup for the dinner party with your friends and family members. Watch out as you might be left with nothing once it reaches the dining table. Prepare this delicious recipe by heating the knob of butter, when lightly foaming add chopped onion until softened.Tip in potato and stir to coat in butter, pour ham or pork stock simmering until softened. Add frozen petit pois and boil for a couple of minutes.Remove from burner and blend until smooth. Stir in 300g diced ham before serving. This roasted carrot soup is sweet without being cloying and has a perfect blend of carrots, pine nuts, ginger and other delicious ingredients. Prepare the recipe by heating 2 tablespoons olive oil in saucepan over medium heat until shimmering. Add leeks, onions, garlic and ginger. Cook until vegetables are softened but. Add cumin, coriander, and harissa paste and cook until fragrant. Add carrots and stir to coat them in spice mixture. Add broth with a pinch of salt. Boil, simmer and cook stirring occasionally, until carrots are completely tender.Heat 2 tablespoons olive oil separately until shimmering. Add pine nuts, cook on low, tossing and stirring constantly until fragrant and nutty brown. Transfer to a bowl to cool, then stir in parsley, lemon zest, and a pinch of salt.When carrots are tender, transfer it for blending. With blender running, slowly drizzle 4 tablespoons extra-virgin olive oil. Transfer soup in clean pot pressing it through strainer. Add salt and whisk in lemon juice before serving topped with pine nut and parsley mixture. 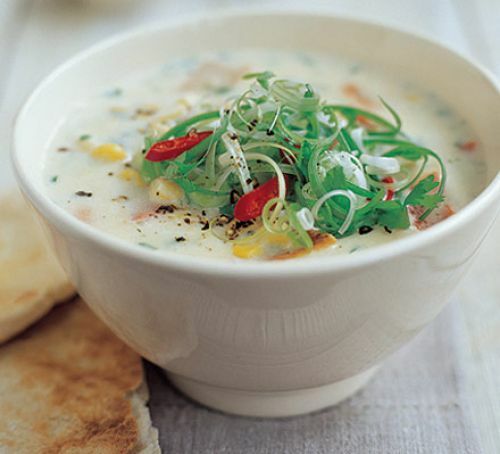 Here comes an end to the list of healthy and tasty soups which are trending this year. Try them out and impress everyone who visits your dining table on this holiday. Remember to play with the ingredients and mix the recipes for creating more ideas. Try mixing up your ideas with the ones mentioned here.